Greetings from Bergenfield Little League! Our monthly league meeting will be held on Monday, TBA at 7:30 pm at the Bergenfield Elks Lodge.The Elks Lodge is located at 40 West Church Street, Bergenfield, NJ. 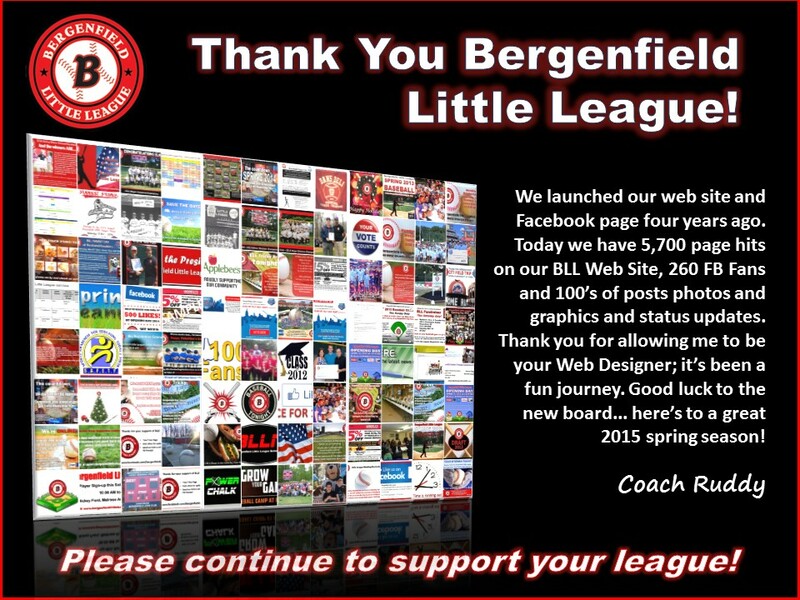 Anyone interested in Managing or Coaching a team, please let us know by emailing us at info@bergenfieldlittleleague.org . We are actively looking for Managers and Coaches for the following: Baseball - Major, Minor, Farm and Tball as well as Softball 8u, 10u, 12u and 14u. Playball! Grant Video featured on SNY Network! Our field's signature concrete baseball bollards line the front sidewalk. 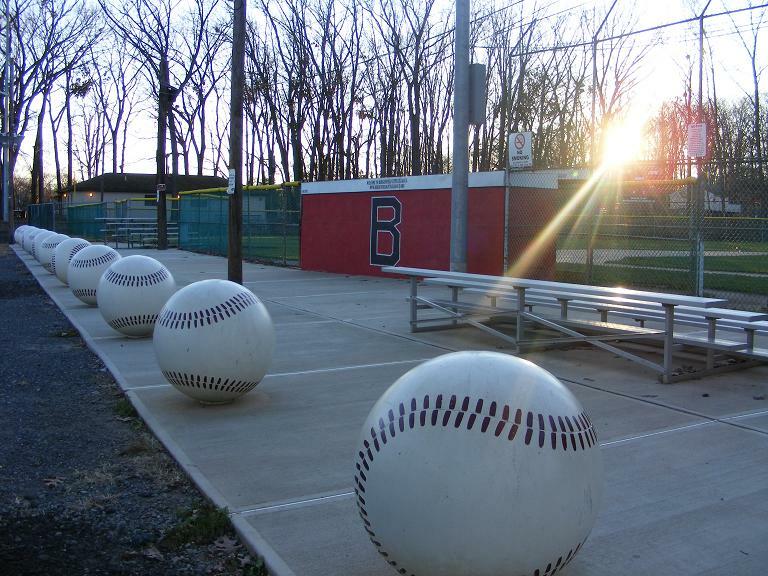 Since 1950, the mission of Bergenfield Little League is to educate and mentor our athletic youth by providing an enriching, family and community-oriented sports program. BLL is a volunteered operated, Nonprofit 501 organization and is recognized as an official charter member of Little League International. 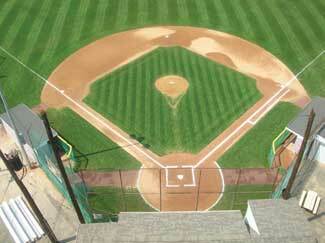 We have been part of the NJ State District 4 Little League Division since 1958. BLL also participates in the state run Challenger Program; celebrating 30 years in our borough. Thank you to our all volunteers who annually contribute hours of time and efforts for the betterment of our borough’s Little League program! Our Monthly Bergenfield Little League Meeting will be held on the first Monday of the Month at 7:30 pm. Location is the Elks Lodge at 40 West Church Street, Bergenfield, NJ. Get involved and help make this a successful 2018 season.